Think kids clubs and my mind automatically turns to beachside resorts. Not all families are into beachy holidays, so what’s on offer for children and parents to maximise the holiday experience minus the sand and saltwater? Journey to Wolgan Valley for the answer. 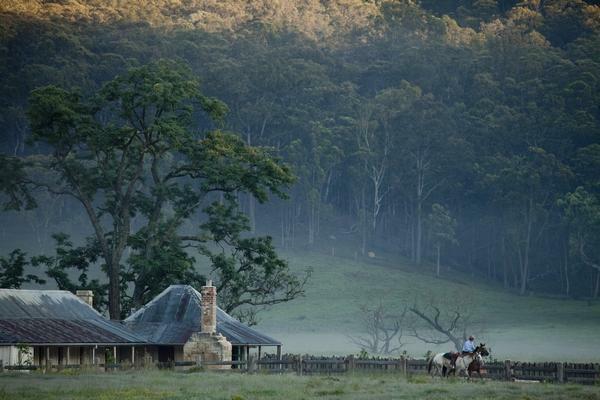 Nestled in the Greater Blue Mountains, Wolgan Valley is just 190km from Sydney. Apart from the range of tourist activities available in the Blue Mountains – from enjoying an afternoon of antiquing or caving – you will find the blissful Wolgan Valley Resort & Spa. Set amidst stunning mountain scenery, Wolgan Valley Resort & Spa is built around a fully restored homestead and nestles within its own private conservation and nature reserve. The scene is set for parents to indulge in relaxing spa treatments and kids to participate in a range of different and exciting bush activities. Led by experienced field guides, children can learn new skills from archery to horse riding through to participating in a ‘bush’ cooking class in the picturesque 1832 Heritage Homestead and Kitchen Garden. I suspect that little thrill seekers will bypass the nature activities and head straight for the stunt-kite flying class. With the benefit of the local westerly wind, stunt-kite flying is quick to learn and will provide hours of entertainment. 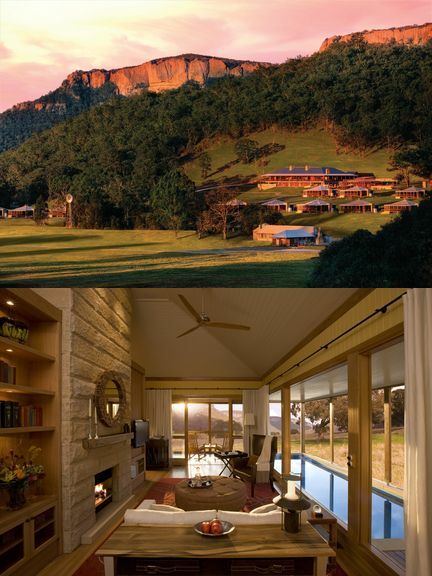 Wolgan Valley Resort & Spa also offers plenty of family activities. So although I’d have difficulty focusing on anything else until after a divine hour-long Sodashi Green Tea and Eucalyptus Salt Therapy Exfoliation at the Timeless Spa, I know I’d then be in the perfect state of mind to enjoy all that’s on offer. A variety of nature walks, mountain bike rides, wildlife safaris, horse rides and historical tours are available to suit beginners to experienced outdoor enthusiasts. And because Wolgan Valley Resort & Spa is bush luxury at its best, small details like drop-offs, pick-ups, gourmet picnic lunches and radio-contact with the resort are all available. The Wollemi Suite, suitable for four guests, begins at $2800 per night. This price includes gourmet breakfast, lunch and dinner daily, some alcoholic beverages and two nature-based activities per day. Note that all activities are suited to children aged eight years and over – facilities for younger children are limited. Check rates and packages here.